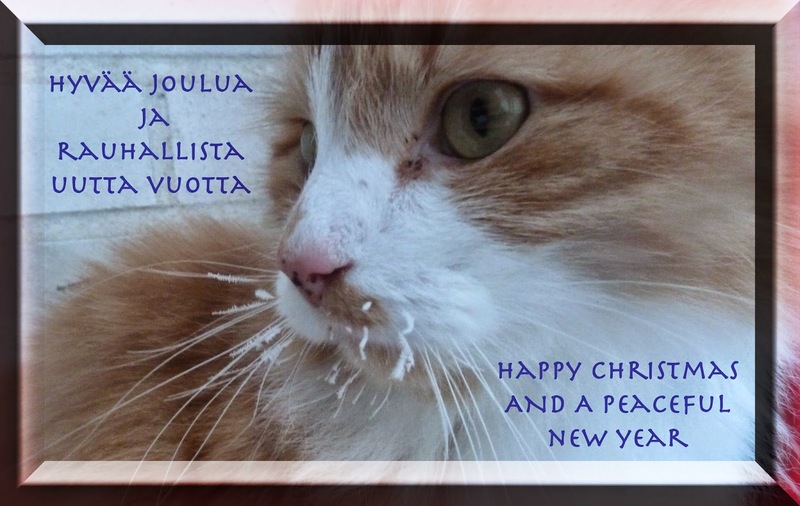 In Finland(N) we celebrate Christmas today, and I send greetings to all my Loyal Readers - feline, non-feline; christian, non-christian. It doesn't matter who or what we are, let's hope for a peaceful time on Earth with goodwill to all - including to girlcats. Hyvää ja rauhallista joulua kaverit! Merry Christmas, can we open our prezzies now? Merry Christmas, King P! Wow--girl cats too? That Mesi is turning you into an old softie, Big Boy! Merry Christmas to you all, and Peace on Earth. Hei! Kiitos samoin, kaikkea hyvää ja kivaa teille! Pee Ess: Is that whipped cream on your whiskers?